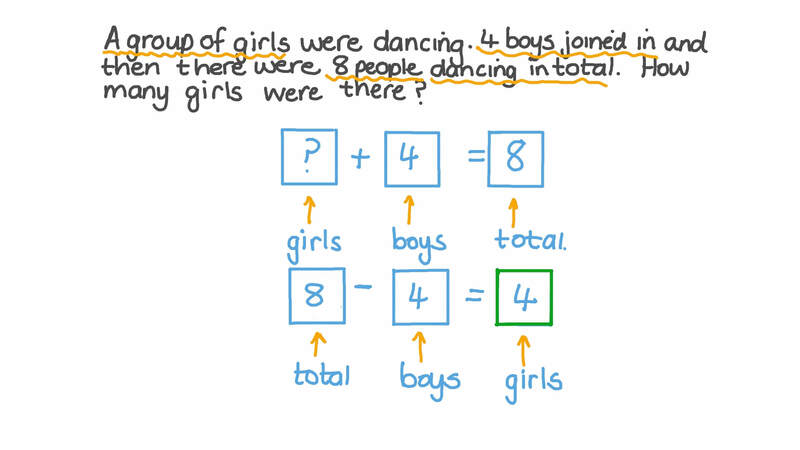 In this lesson, we will learn how to model and solve addition story problems with numbers up to 20. Nabil built a tower with 8 blocks. He then added 5 more blocks. How many blocks are in the tower now? 6 children were playing in a playground. They were joined by another group of children. After that, there were 10 children in the playground. How many children were in the group that joined? Rania built a tower with 14 blocks, but 6 blocks fell off. How many blocks are still in the tower? Waiters were serving food to a table. After 6 plates had been served, there were 9 people who still needed food. How many people were at the table? A group of girls were dancing. 4 boys joined in and then there were 8 people dancing in total. How many girls were there? 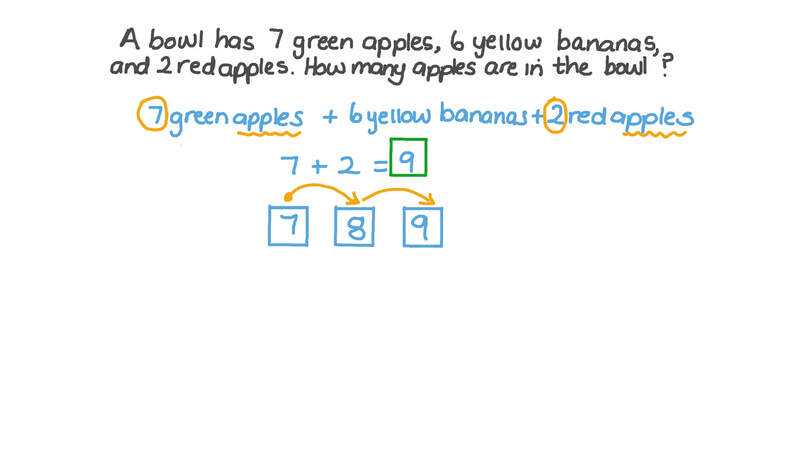 A bowl has 7 green apples, 6 yellow bananas, and 2 red apples. How many apples are in the bowl? A group of fairies were flying around a flower. After 4 more fairies joined the group, there were 14 fairies in total.